An understanding of anatomy is key to making your practice intentional and effective and is a key link to making a yoga practice safe and sustainable. An intensive 20 hours dedicated to delving into a deeper and more comprehensive understanding and embodied awareness of the human body and how it moves. Whether you’re brand new to Anatomy or you’re looking to fill in some gaps in your existing knowledge, this course aims to equip you with what you’ll need to make educated and informed movement choices based on modern evidence-based insight. Drive deeper into fundamental principles behind Asana. In this module we’ll dive into the fundamental principles behind Asana – the external shape of the body during yoga. Getting clarity on anatomical alignments, applicable breathing, kramas, modifications and contraindications, this in-depth course is the ideal starting place for aspiring yoga teachers. Also great for practitioners whose mind constantly wonders if they are ‘doing the pose right’ as this will definitely alleviate the confusion around the practice and allow reaping the full spectrum of benefits – mental & physical – yoga has to offer. 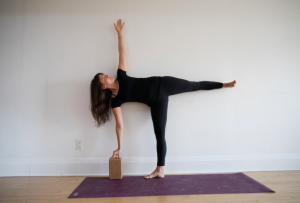 Theoretically and practically dissecting the most common postures in the Vinyasa tradition, we’ll also make time to share, connect and play. This module has been designed to inspire and support our YTT teacher candidates. It is also open to yoga teachers who would appreciate a refresher within our yoga community. In essence, we rise up to teach what we know. We can envision a teaching plan once we have embodied the asana on a physical, emotional and intellectual level. Teachers will embrace their gifts to intuit, rationalize and evolve with experiential knowledge. End goal: teach from an embodied experience. The skills of the ancient yogis and healers began with their respect for the wholeness of body, in relation to what is seen and the unseen. Explore the energetic body through the Chakra System. The subtle body holds our emotions, intellect & spirituality and provides a map to better understand the ways we perceive & interact with the world. Through self-study, we will learn to harness the power of the 7 main energy centres to promote overall balance, healing and wellbeing. This comprehensive workshop is full of creative teaching tools. Learn the art of Sanskrit + Chanting and incorporate it into your personal practice and yoga classes. This module will be an exploration of Sanskrit, and how to incorporate this ancient and beautiful language into your practice. Learn the basics of the Sanskrit alphabet, how to pronounce the names of yoga poses, and mantras that will inspire your students and deepen your personal practice. Our time together will include the practice of kirtan, call and response chanting. This unique and distinct Yoga Teacher Training module is suited for teachers or aspiring teachers who wish to deepen their understanding of Yoga Philosophy from one of the most experienced yogis on the subject in the country. This enlightening investigation of Yoga Philosophy led by Scott Petrie unearths the sacred and ancient aura that distances modern practitioners from the texts of Yoga, enriching their meaning and relevance for their readers. Delving deeper into the Vinyasa system. An embodied yoga practice is one focused on awareness and personal mastery – more specifically how we are as people through the body. This module serves as the departure platform for teachers desire to align deeply what they do, with who they are. Where they stop ‘doing’ yoga and become yoga. Delving deeper into the Vinyasa system, we’ll learn how to effectively theme, sequence, deliver and customize classes that leave students with the intoxicating feeling of wholeness and a promise to return. Alongside practical workshops, constructive sequencing worksheets and templates will be offered so you can expect leaving the course fully equipped to teach vinyasa on a whole new level. Intuition. Transparency. Cognition. Interactive. Both during and after yoga teacher training, it is helpful to rise up from the books, data and theory to sense our teacher’s voice. Listening, reflecting back and acknowledging your students is essential.Generate verbal and tactile cues for teaching, with pacing as an informative benchmark. Learn best practices for classroom set up, props, lighting and prep to teach. Practice voice projection and interaction with students through the opportunity to practice teaching to peers and experience your unique teaching voice. Did you know that an estimated 70% of adults have experienced a traumatic event in their lives? There are many people who choose yoga as a way to support their healing. 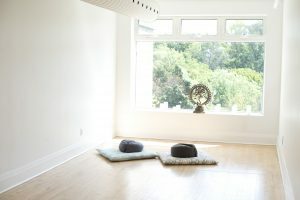 Many also first come to yoga for exercise but can be triggered by a past trauma because of their emotional or physical experience in the class.The practice itself is deep and revealing, teaching trauma-informed yoga offers a safer space for self-inquiry, and empowers students to reclaim their bodies, while minimizing the risk of activating the fight, flight or freeze response. Designed for body workers, yoga teaching and expecting mothers to deepen their understanding and practice of yoga. In this potent workshop we’ll focus on the major do’s and don’ts of teaching yoga to pregnant women and mothers with their babies. In the spirit of inclusion and safety, we’ll explore different avenues to adapt classes when need be, as well as creating beautiful sequences respectful of the pre & post natal body sensitivities. Specifically designed for body workers and yoga teachers, this course will leave you with a new-found or renewed confidence around teaching women going through this sacred process. 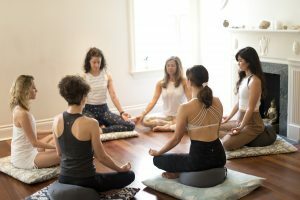 Expecting mothers can also benefit from dedicating an afternoon to deepening their understanding of yoga and practice. Restorative Yoga is a very gentle yoga practice designed to calm the nervous system and create overall health in the body. Restorative Yoga has become an essential practice to balance our busy life. Learn the art of rest in this 7 hour Introduction to Restorative Yoga Module, were we will dive deep into slowing down. Restorative Yoga is known as the yoga of “active rest”. By taking time to do less in a conscious way we can begin to repair the damage in our mind, body and spirit caused by chronic stress brought on by our fast paced lives. This deeply supportive and nourishing practice is one of the most effective in balancing our nervous system so we can easily drop into the parasympathetic state, or “rest and digest”, which is the place where we can tap into our systems natural ability to heal. Get comfortable becoming still. Meditation can create a better tool for self-understanding which allows one to see and experience reality deeper. In this module, students can expect to deepen their own understanding of meditation through experiential learning. Meditation is the sacred practice of understanding one’s self through the process of self-inquiry. As meditation becomes a foundation of inner anchoring, it will provide a chance for you to witness, process, and discover new layers of awareness. 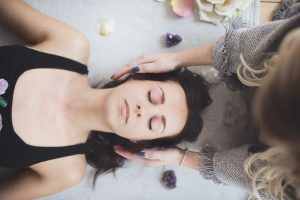 In this module, Vanessa DeZutter and Jenny Tellier will introduce you to various different healing modalities, rituals and techniques that are increasingly being used by teachers in classes to restore and align the subtle bodies of students. The effects of these practices are both powerful and safe. Vanessa and Jenny will lead you through meditations and exercises to open up your intuition to these subtle energies. 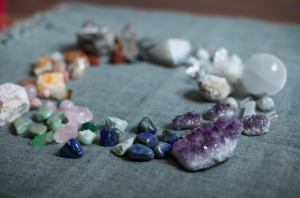 You will be guided to feel the healing energy of Reiki, Crystal Therapy, Channeled Messaging and Oracle cards, among other rituals,and learn how to integrate them into a yoga practice and teaching resources. Dispelling one yoga teaching myth at a time, this practical workshop offers business tools specifically designed for instructors starting their career or wanting to take it to the next level. We will cover the basics of entrepreneurship, talk about diversifying income sources, optimizing each week while sustaining a balanced life-style and share our own failures and triumphs. Worksheets and one-on-one time will be provided to help crystallize your contribution in the yoga world. Together we will create an individual mind-map of what epic success could look like.